Since Zapp’s beginnings, its heartbeat has always been the vibrant imagination of the Troutman Brothers - Roger, Larry, Lester and Terry. In 1978, they went into the studio with renowned bassist, singer and songwriter Bootsy Collins to record an album and P- Funk’s legendary leader George Clinton encouraged them to name themselves “Zapp” in honor of Terry’s snappy nickname. In 1980, the four original Zapp members released their self-titled debut album co- produced by Collins which became a platinum success thanks to the hip-shaking #2 R&B hit “More Bounce to the Ounce” written by Roger. Zapp’s dazzling rise was piloted by Roger, who was the band’s producer, writer, arranger, composer and inventing brand new ways to use the Talkbox. Throughout the 1980s, the band had several more R&B hits including #1 "Dance Floor", #4 "I Can Make You Dance”, # 10 “Doo Wa Ditty” and the classic #8 “Computer Love.” Roger also had solo smash hits, a cover of “I Heard It Through the Grapevine” #1 R&B and “I Want to Be Your Man” #1 R&B and #3 Pop! In 1995, Roger collaborated with 2Pac and Dr. Dre on the smash hit “California Love”, 2Pac’s most successful song reaching #1 on the Billboard Hot 100 and nominated for a Grammy. 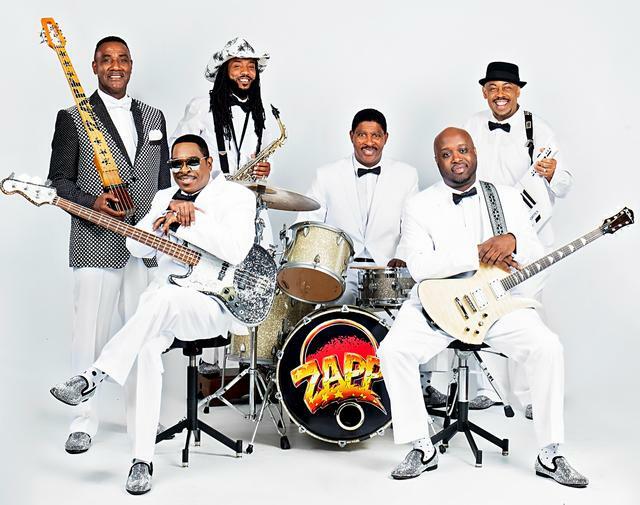 Today, Zapp continues their great legacy with brothers Lester and Terry leading a tight-knit band of expert players of funk, soul and party music. BRICK, the tremendously talented platinum selling band from Atlanta, Georgia, was formed in 1976 by lead guitarist Regi Hargis and signed to CBS distributed record label Bang Records. BRICK created a successful merger of disco and jazz music for a unique sound they called “Dazz”, the name of the band's first single which was a #1 smash hit on the R&B charts and #3 on the Pop charts. BRICK scored two more huge hits with “Dusic” #2 R&B and “Ain’t Gonna Hurt Nobody” #7 R&B each with a chunky, propulsive and catchy beat. Brick’s other top ten R&B hit was “Sweat (Til You Get Wet)” released in 1981. BRICK’S current members include Regi Hargis, guitar and vocals; Jimmy Brown, alto sax, trombone, trumpet, flute and vocals; Eric Florence, bass guitar; and Victor Alexander, drums and percussion. BRICK still performs around the world to thousands of loyal fans and introducing funk music to a new generation.